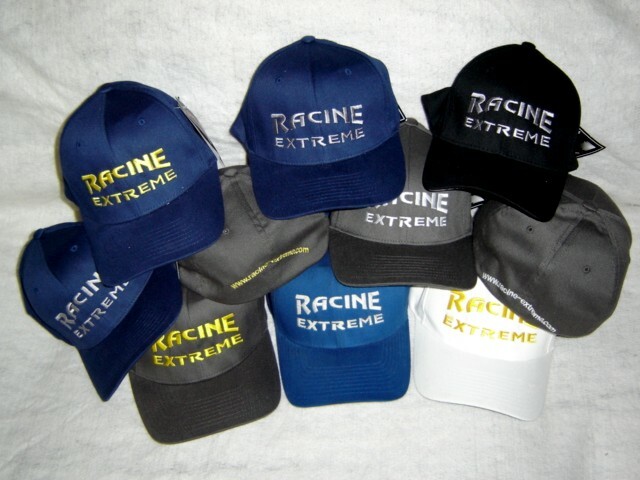 extreme gear for extreme people! 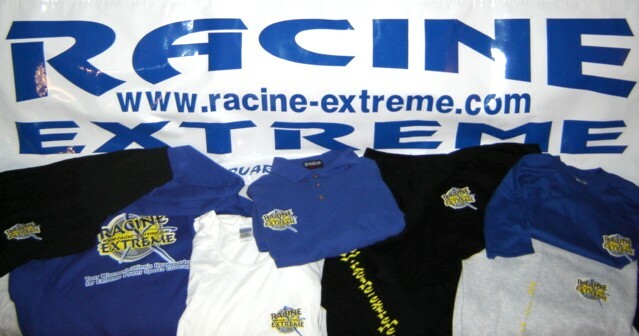 Click on the photo to see a larger view of Racine Extreme's gear ! 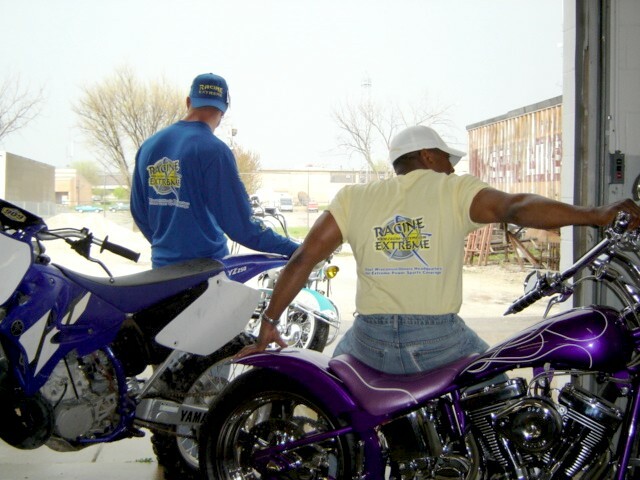 Decals available in 6 basic colors (Blue, Red, Green, Yellow, White, Black) other colors available by special order. Decals are die-cut 5 year vinyl. 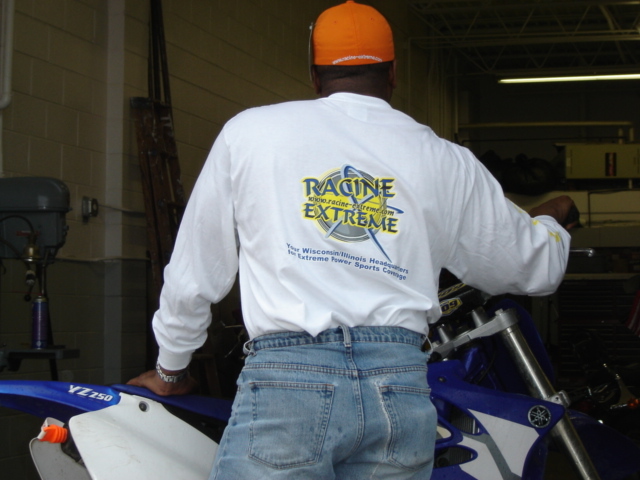 Click on vinyl stickers to visit the Racine Extreme decal department. Flexfit hats available in choice of color, stitch color, and size. Click on Headgear to visit our headgear department. Hooded Sweatshirts, T-shirts, long sleeve shirts, Polo Shirts, tank tops and kids shirts available in choice of color and size. Click on clothing to visit our clothing department. 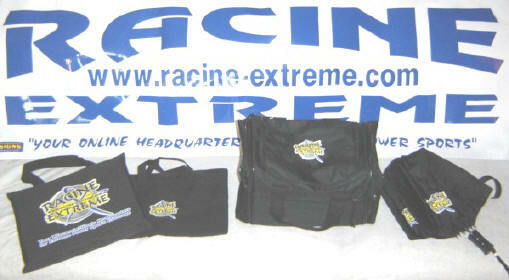 Bags, Umbrellas, Stadium cushions and much more extreme spectator gear on the way! 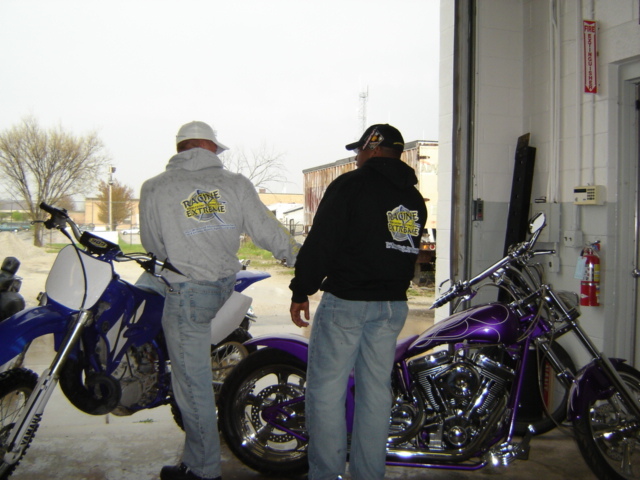 Click on gear to visit our gear department. Most orders will ship with in 14 business days allow extra shipping time for special order items or colors. If you have any questions, special requests or problems with your order please click HERE for Customer Service and one of our representatives will contact you in the next 3 business days.